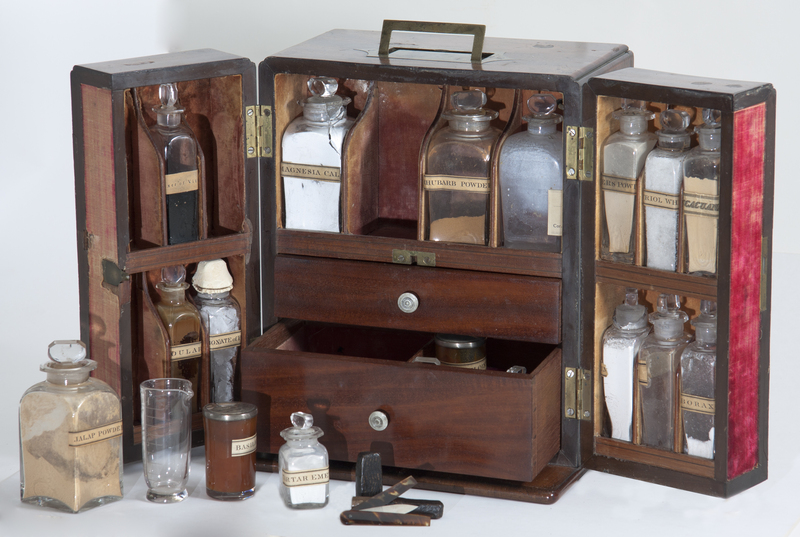 An early form of ‘doctor’s bag’, a wooden medicine chest was designed to hold instruments and drug supplies. Some were finely crafted from imported woods and brass and had fitted drug bottles. Wealthier families also kept their own medicine chests for home use. Such appears to be the case with this particular chest. 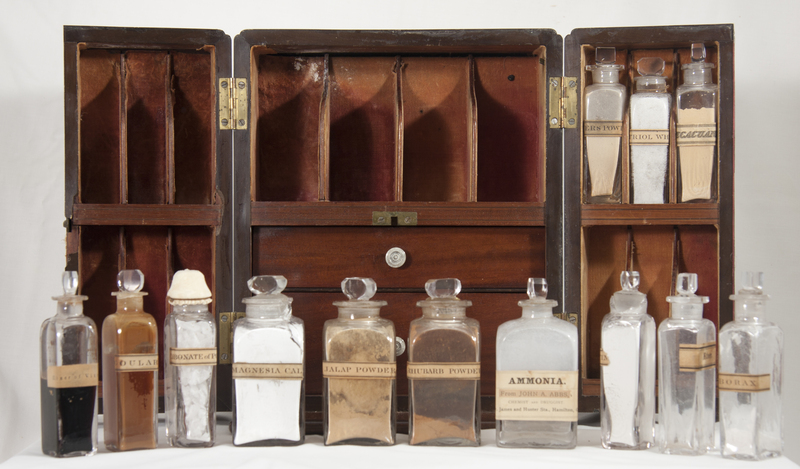 It is accompanied with a paperback guide entitled, “Companion to the Medicine Chest with Plain Rules for Taking the Medicines in the Cure of Diseases” by Thomas Hollis (1834). The booklet is in the form of an advertising pamphlet issued by Mr. Hollis, a Boston druggist and apothecary, that provides directions for administering such curatives as rhubarb, castor oil, camphor, sulphur, Turlington’s Balsam of Life (for cuts and wounds), elixir paregoric (for coughs), white vitriol (for eye sores), and magnesia. 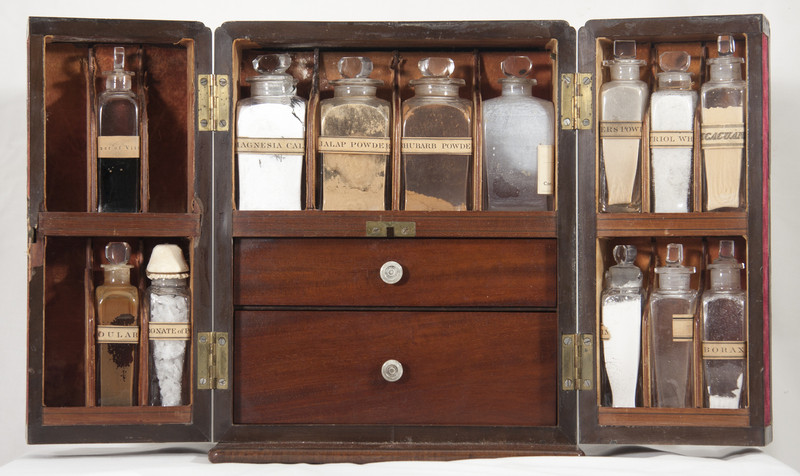 This medicine chest was brought from Scotland to Canada by George Malloch in 1838. Mr. Malloch, a barrister, was later judge of the Leeds and Grenville County courts in present-day Ontario.